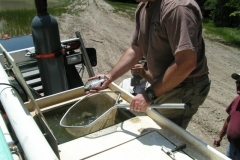 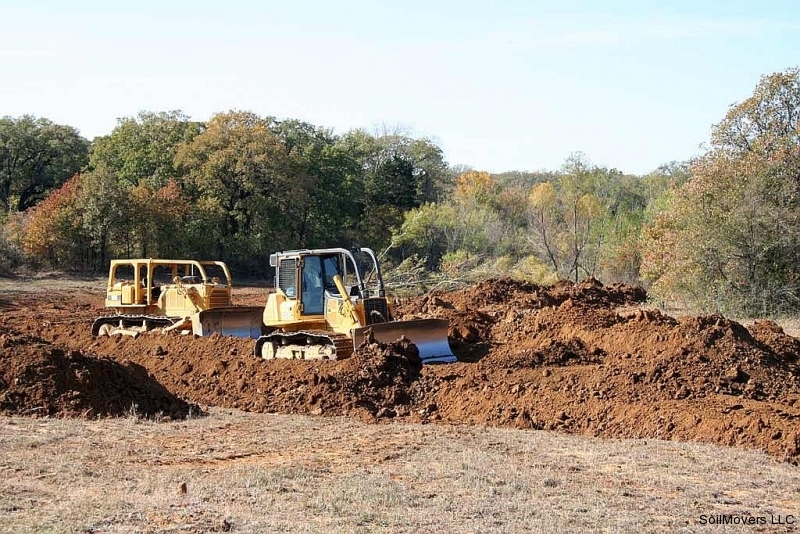 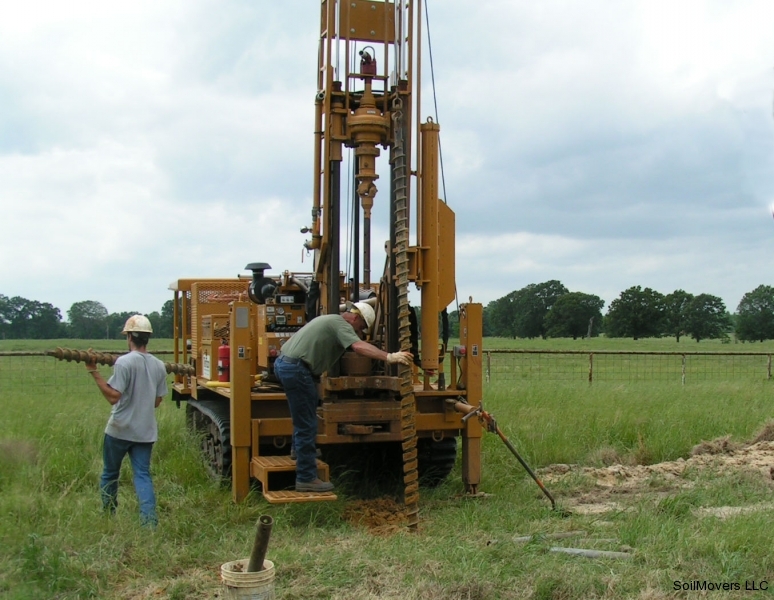 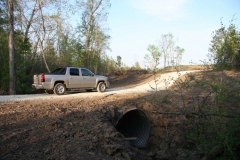 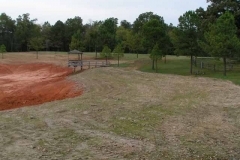 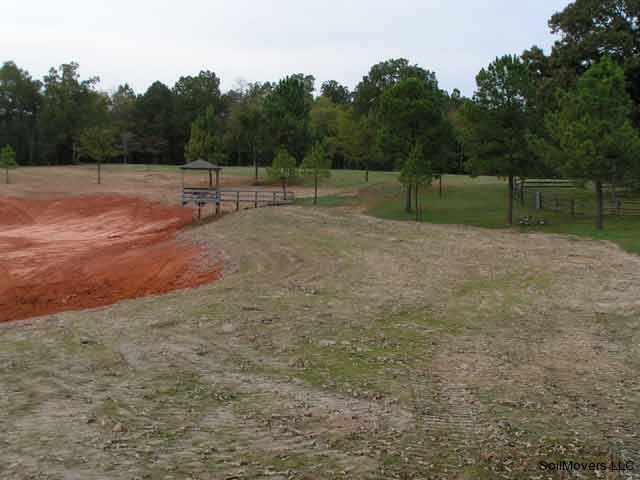 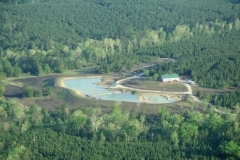 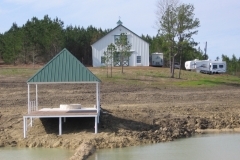 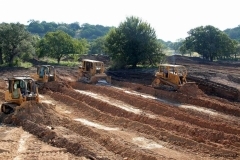 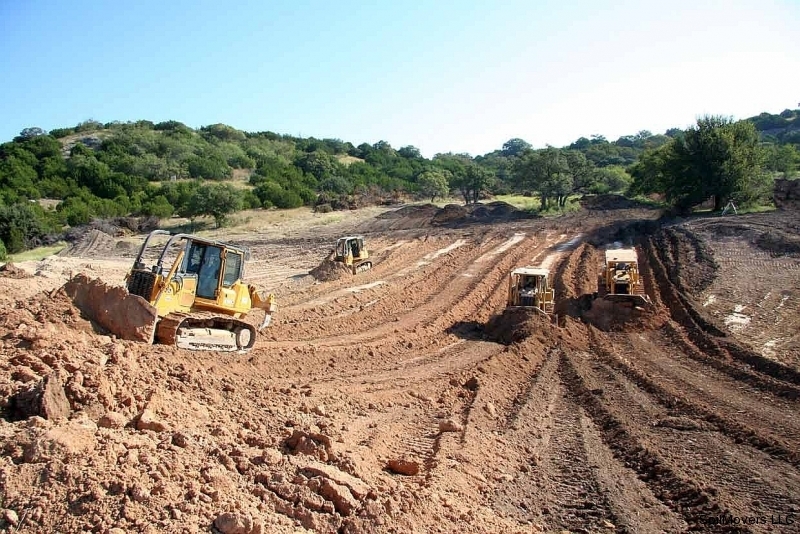 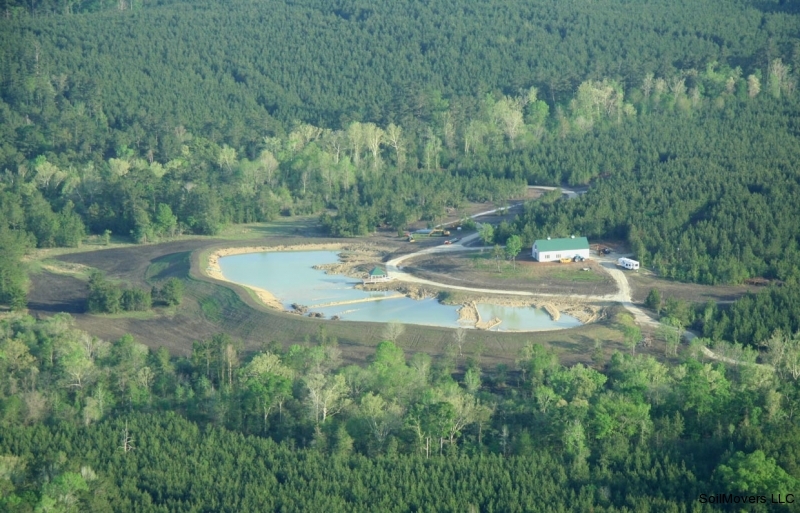 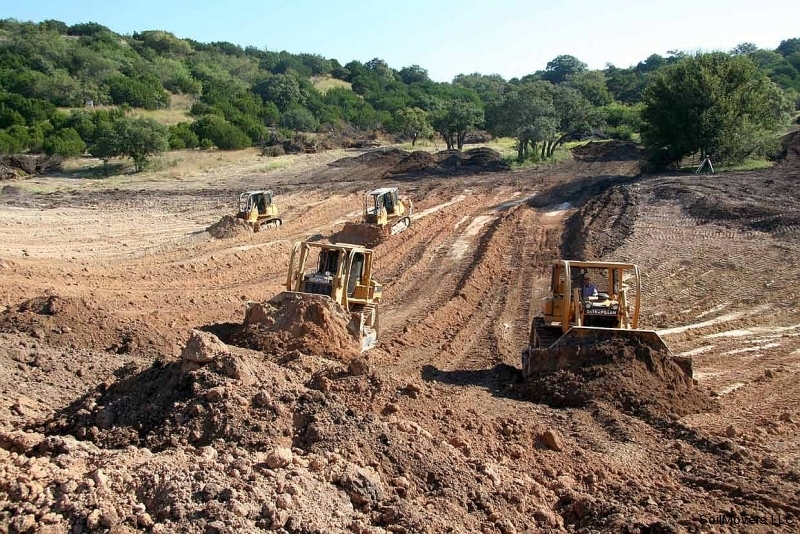 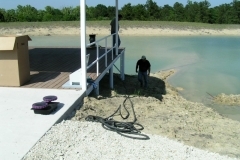 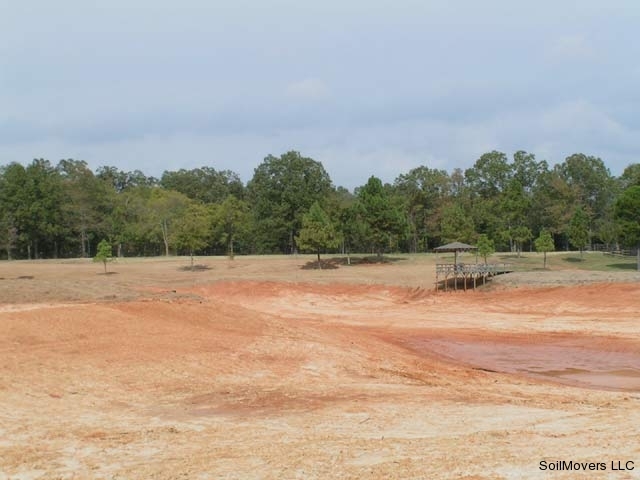 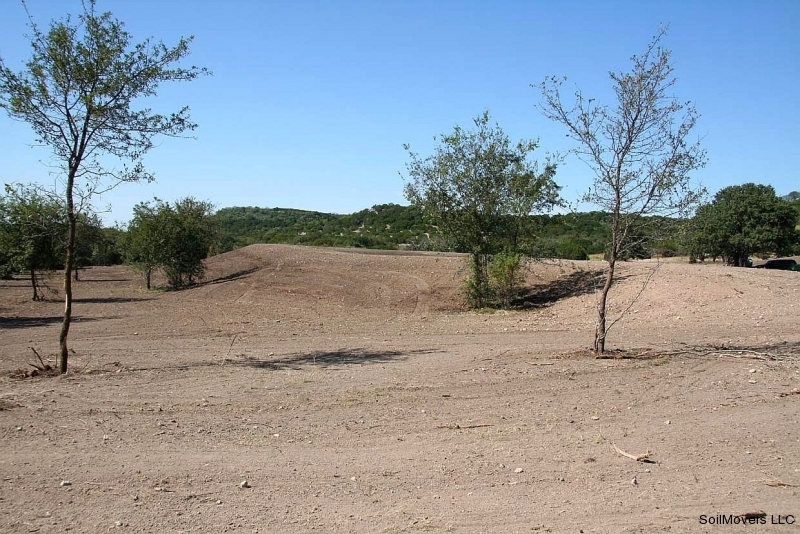 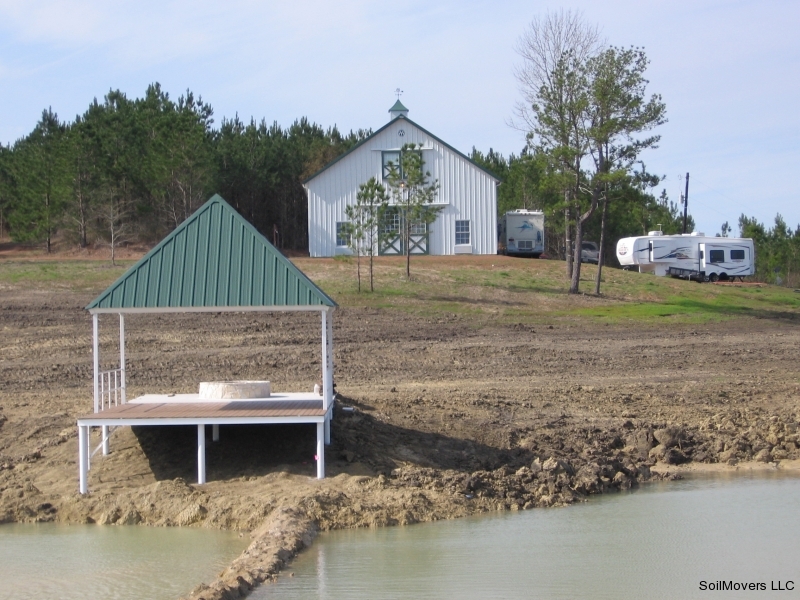 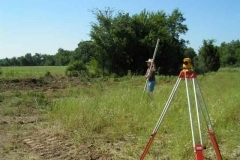 Fishing Lake Construction Project — Near Hamilton, TX. 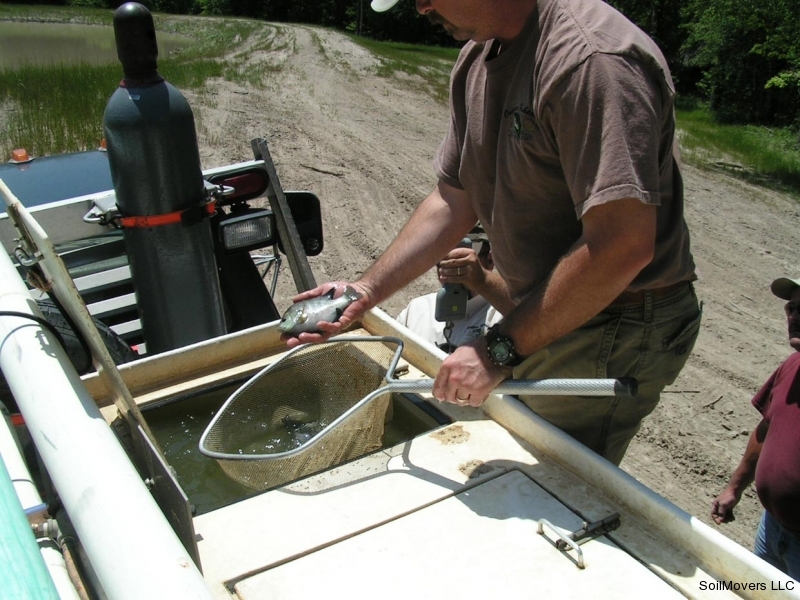 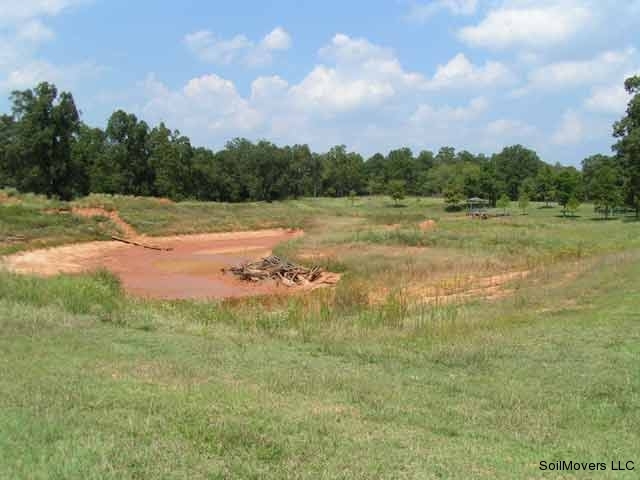 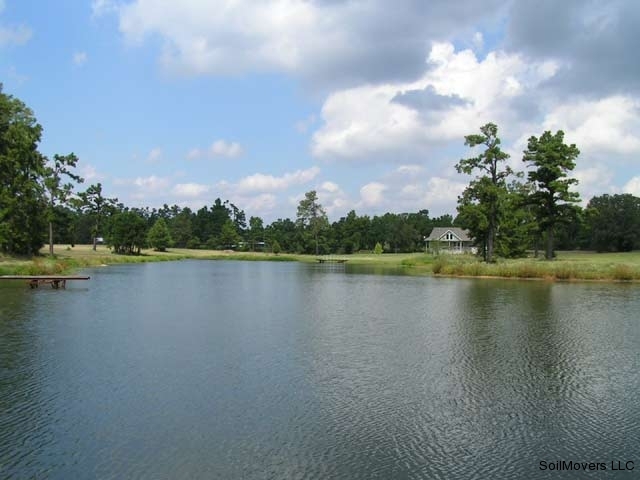 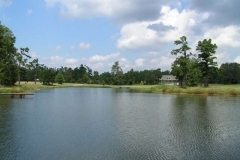 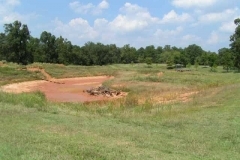 A large fishing lake at the foot of a spectacular ridge in rough and rocky brush country. 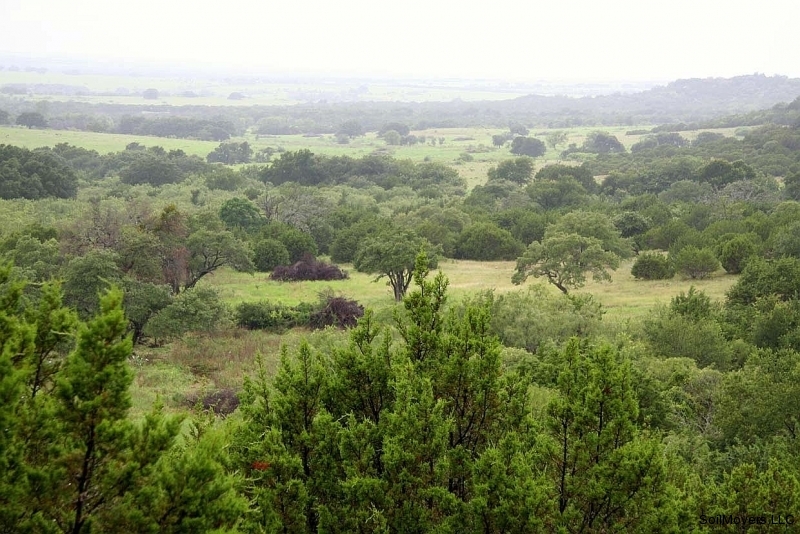 The client plans to build a house on the ridge and will have a million dollar view. 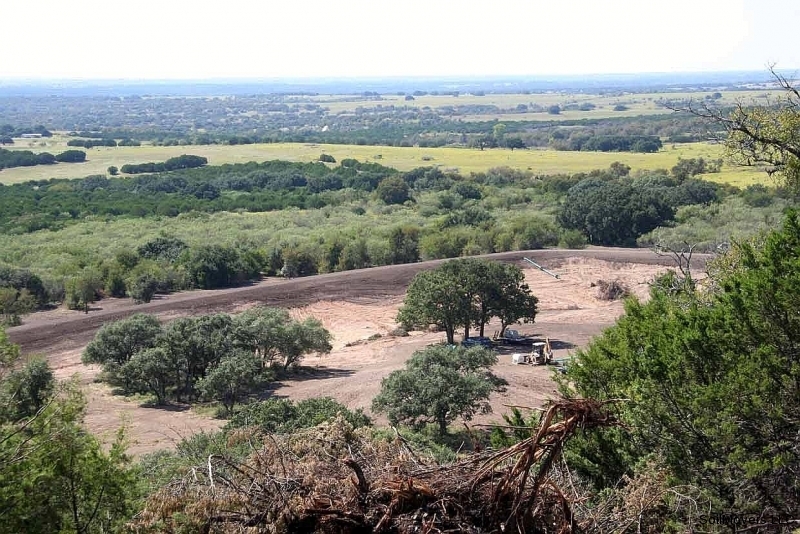 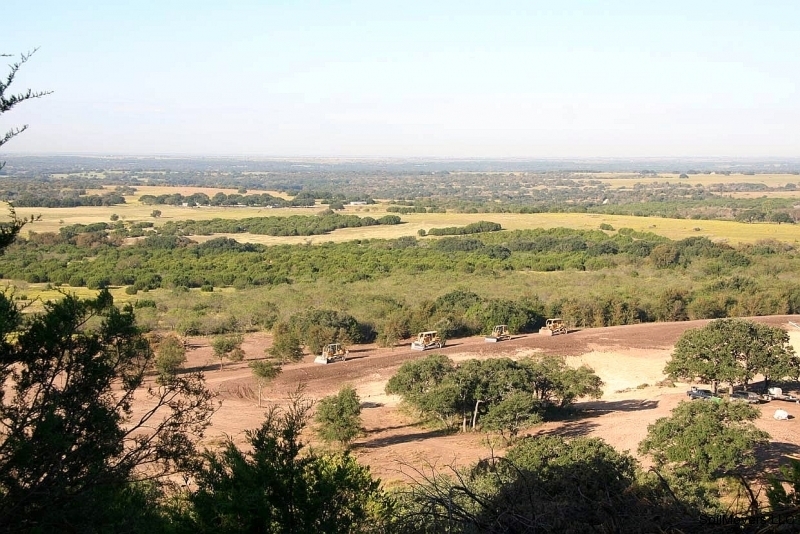 The 'Before' view - Looking from the future home site on the ridge above the proposed lake site. The 'After' picture --viewed from the ridge. 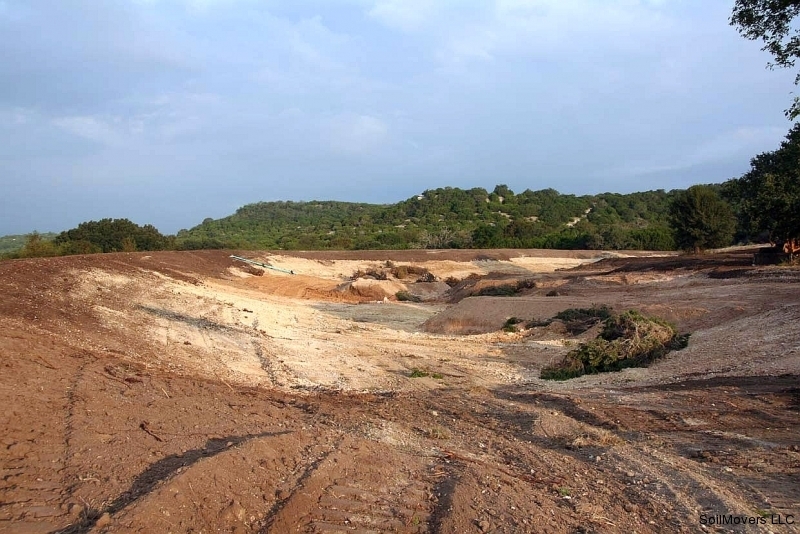 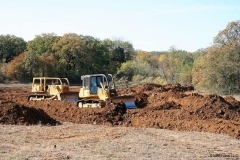 Topsoil is removed first and stockpiled for covering the finished excavation. 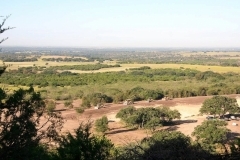 Top of the ridge at Base Camp. 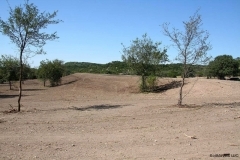 This remote location had no electricity or water available on site. 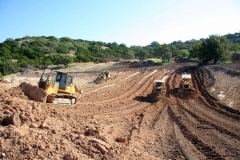 Lake being excavated for depth. 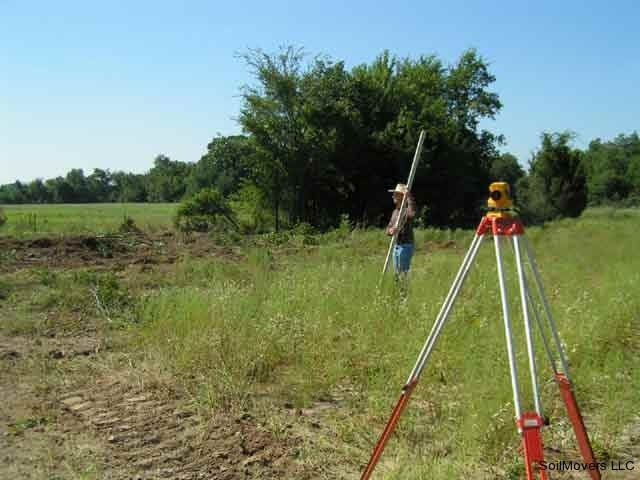 A good contractor has the proper equipment for the job. 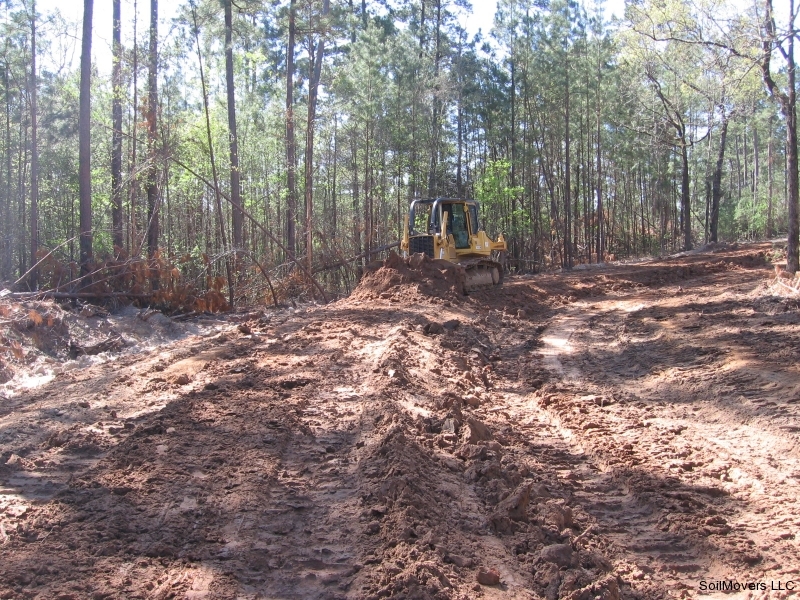 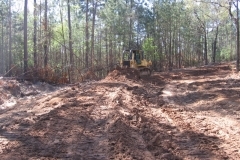 Late model well maintained heavy equipment is indicative of a good excavation contractor. 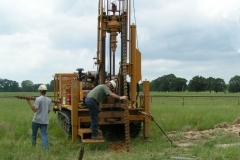 Proper equipment ensures the job moves forward at least cost to the client. 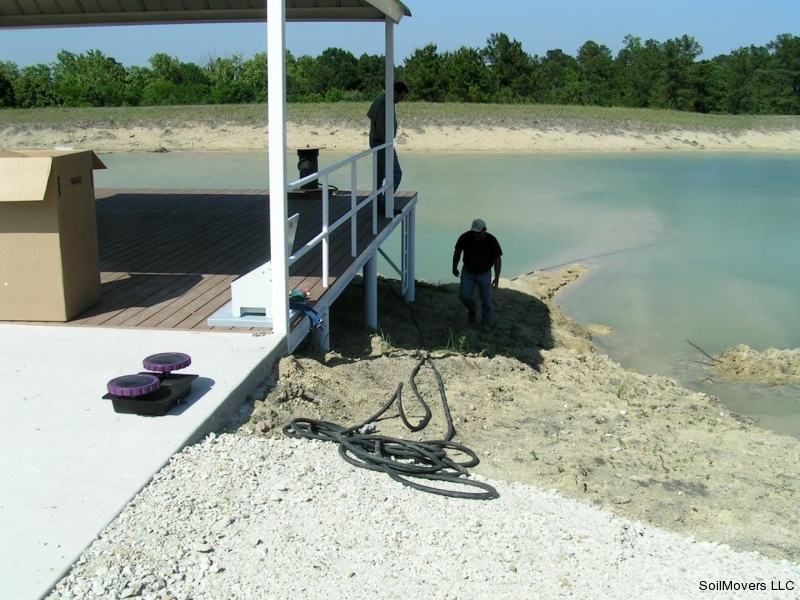 Fish structure in place on the bottom of the lake. 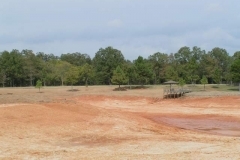 Finish grade ready for grass seeding.